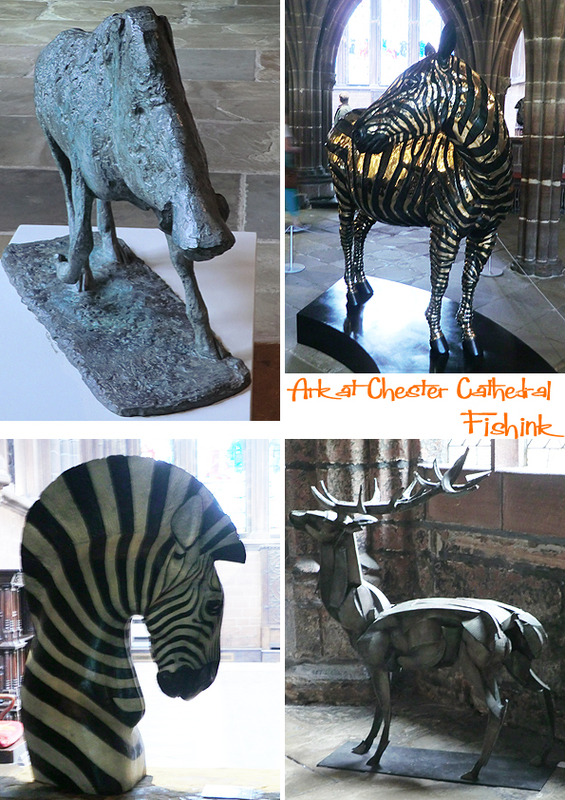 Last weekend I was lucky enough to visit an amazing free exhibition taking place at Chester Cathedral. 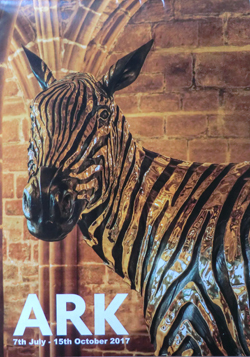 Named ‘ARK’ it’s a world class modern and contemporary sculpture exhibition, which runs until 15 October 2017. 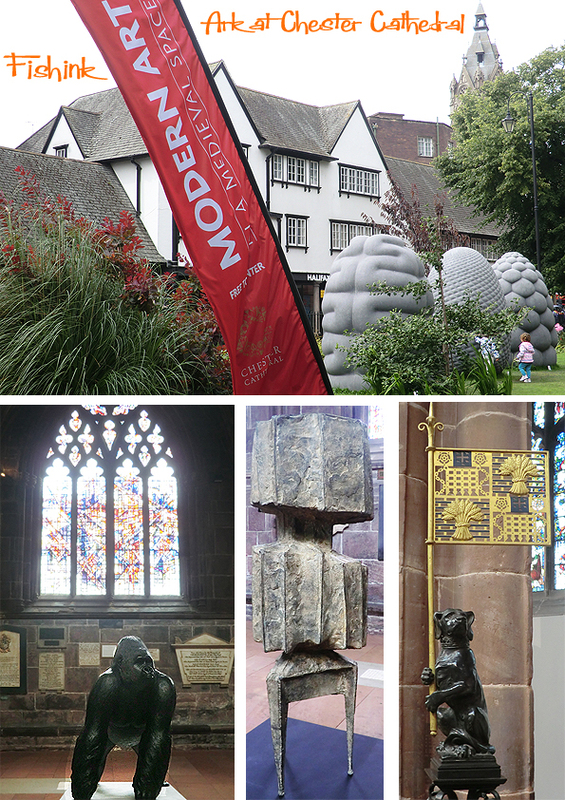 It is the largest sculpture exhibition to be held in the north west of England and features 90, three dimensional works by over 50 internationally renowned sculptors including Damien Hirst, Sir Antony Gormley, Lynn Chadwick, Barbara Hepworth, Sarah Lucas, David Mach, Kenneth Armitage and Peter Randall-Page, amongst others. 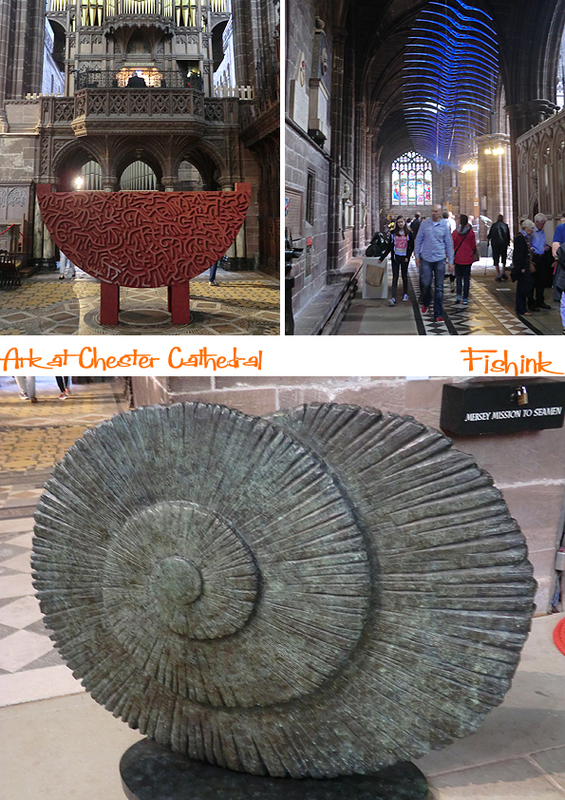 This exhibition uses the magnificent interior of the cathedral as a backdrop to extraordinary works of art as well as the beautiful and ancient spaces surrounding it. Several sculptors will are showing brand new works of art whilst some pieces will emerge for public view from private collections. It is the first time these pieces have ever been seen together. and times when the work was quite dark and ominous. 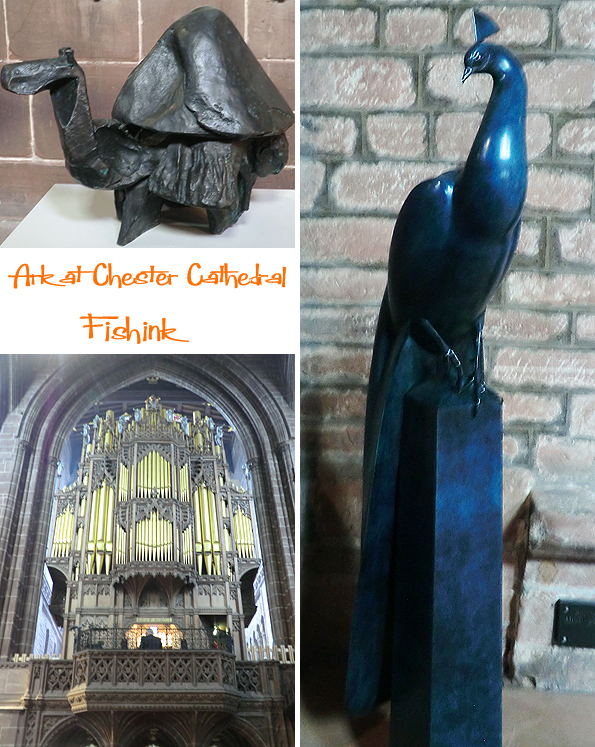 Setting them all in the cathedral was a stroke of pure genius as it’s an amazing venue in which to view art. The decoration is tremendous and is everywhere you look, but oddly isn’t overwhelming. 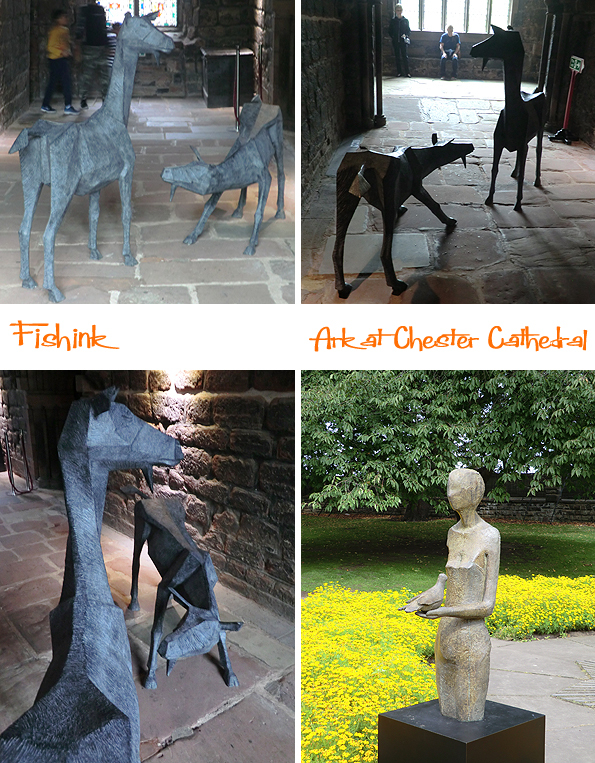 The cloisters held some wonderful roaming beasts. Alongside a few of their more permanent pieces. 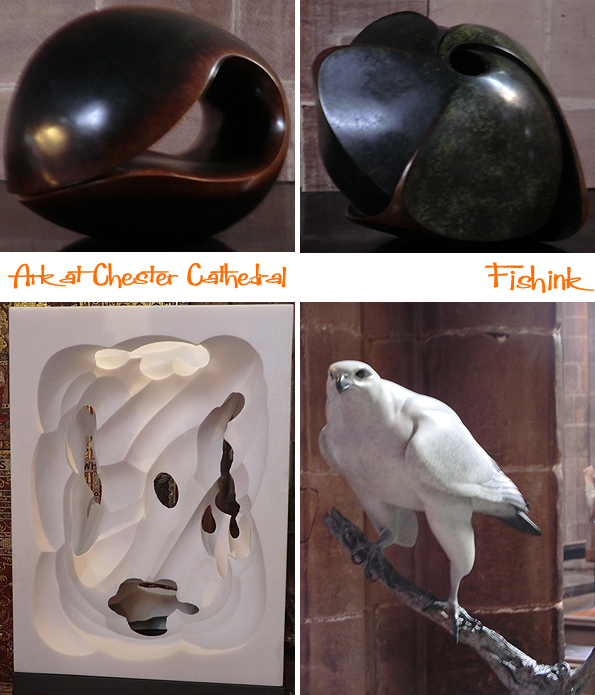 All manner of shapes, textures, materials and sizes of work. Literally something for everyone…. and it’s all free ! This amazing life-size shire horse by Sarah Lucas certainly captured the kids attention. 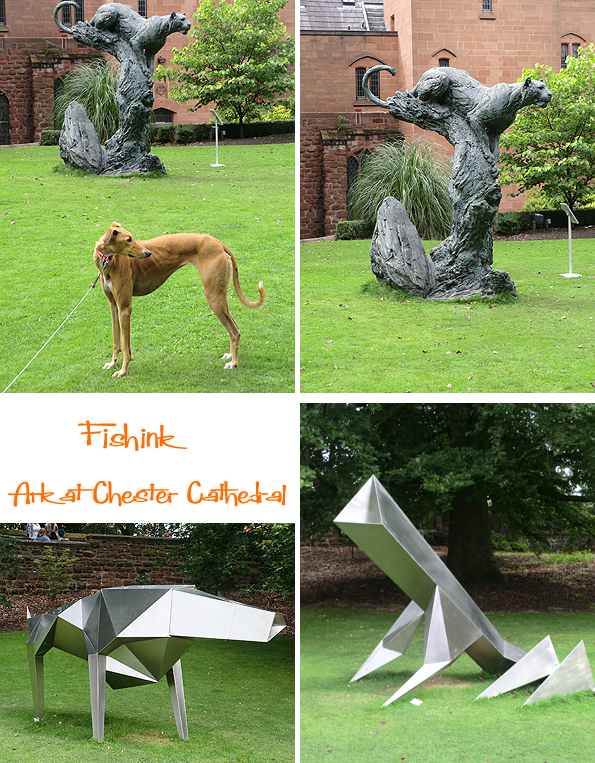 More pieces in the cathedral grounds, even captured Boo’s attention.. well momentarily… It’s behind you ! 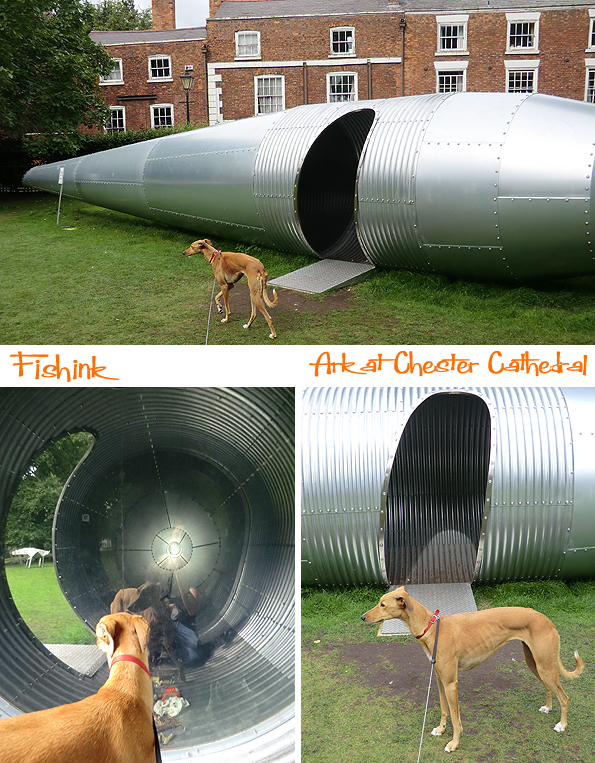 She was more interested in exploring this spaceship, perhaps it’s her preferred mode of transport. 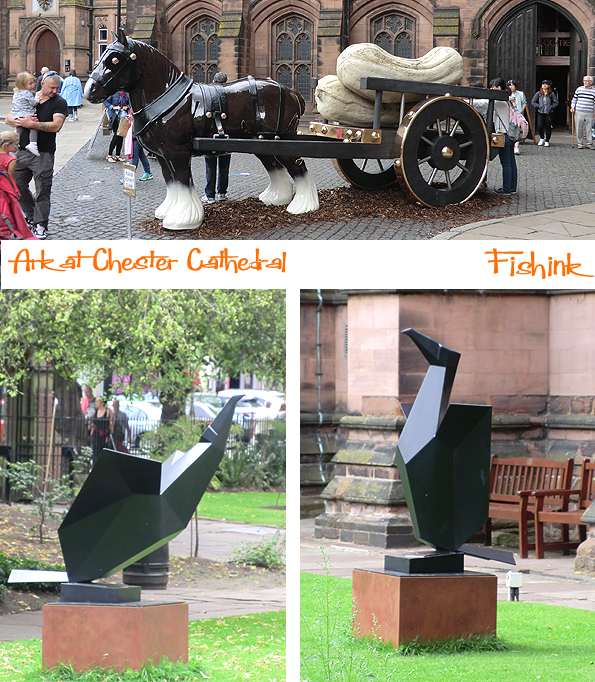 My favourite pieces had to be these two goats by Terence Coventry and the beautifully tranquil stone statue by Anthony Abrahams. 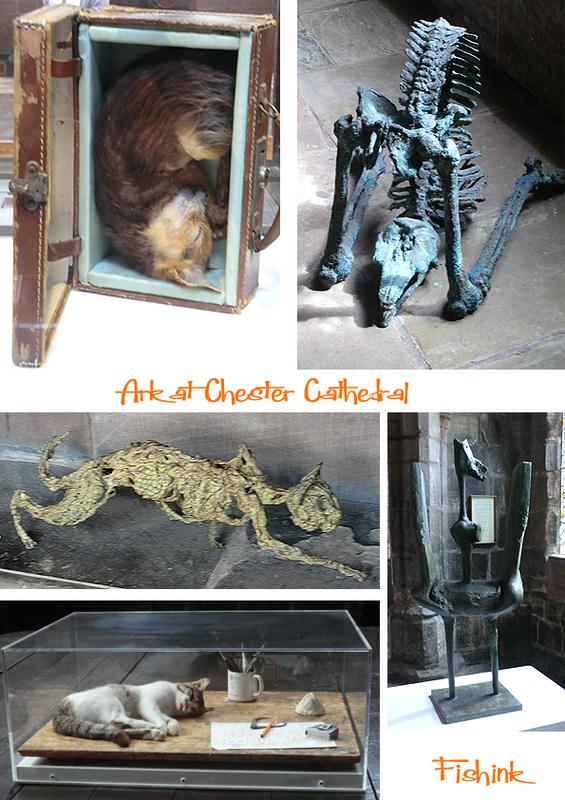 Well worth a visit to Chester if you can get there and don’t forget to leave a donation to the cathedral’s upkeep in their collection pot. Which one is your favourite and why ? Well, to be honest, I didn’t like any of it! Just not my cup of tea, I suppose. I found some of it a bit macabre. 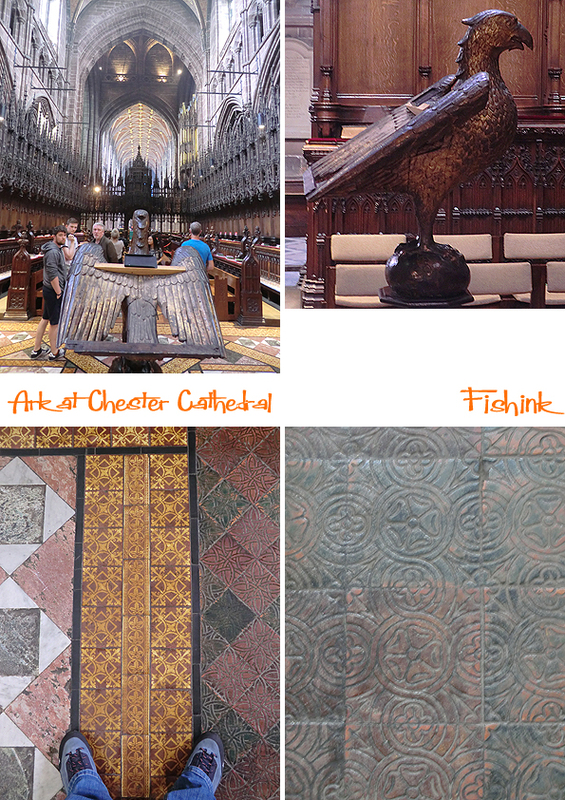 I think I would enjoy learning about the history of the cathedral more than the current art exhibit… I did look at their web site, interesting. Thanks for your honesty, and yes the macabre stuff wasn’t my cup of tea either but I’m surprised that you didn’t like the last figure with the bird. You would have loved the setting and the history too. 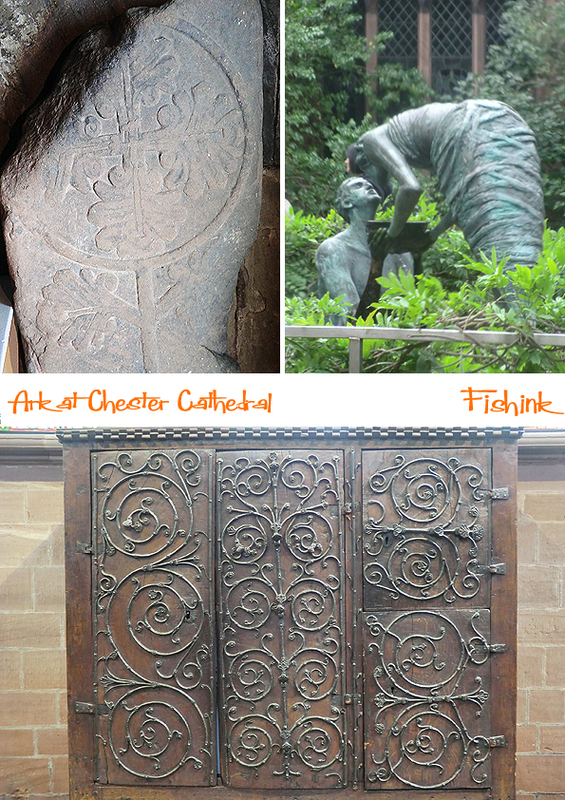 Chester is a beautiful city. oh well, disliking one out of the thousands you have presented… not bad odds! 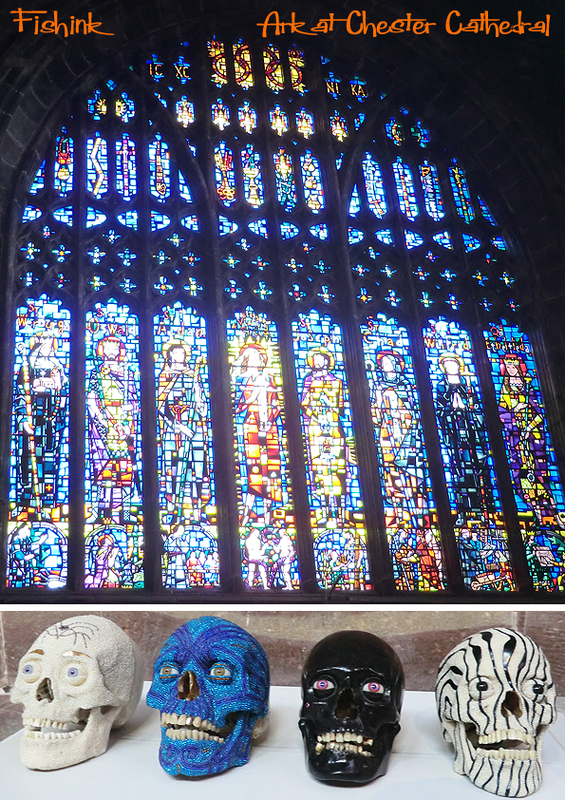 😉 Thanks for featuring the exhibit though–and the setting is beautiful. I always look forward to seeing your new weekly find!